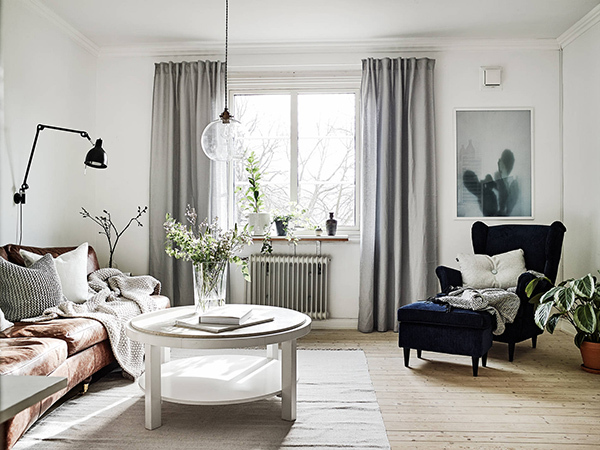 A very popular look on the global interior design scene, Scandinavian and Nordic décor is characterized by minimal use of decorations, abundance of white and neutral tones, balance and stabilty, harmony with nature, and a strong emphasis on functional over aesthetic. This beautiful yet simple design style achieves a bright and minimalist look for those seeking more simplicity in life. 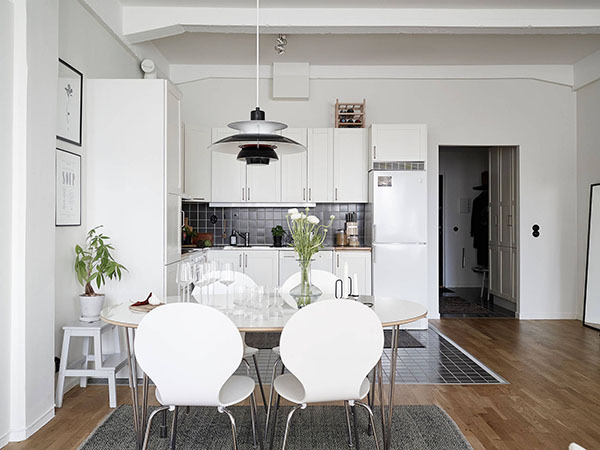 The embodiment of sophistication, simplicity, and Nordic charm, Scandinavian interiors are furnished with neutral-colored furniture with clean, straight lines, and the decorative details are deployed in a pared-down way, usually have a purpose beyond sheer visual interest. 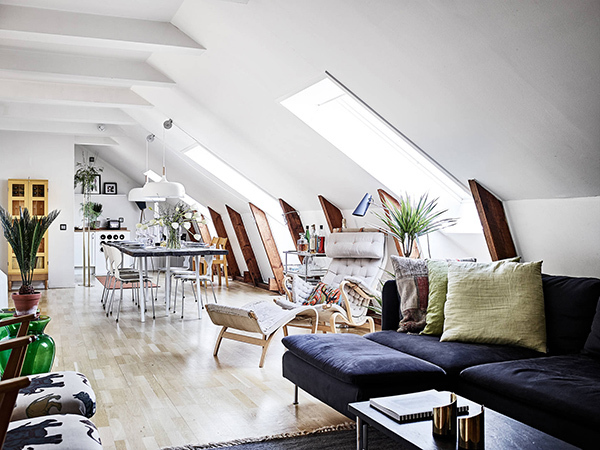 To add a touch of minimalism to your life, try decorating with Scandinavian style. 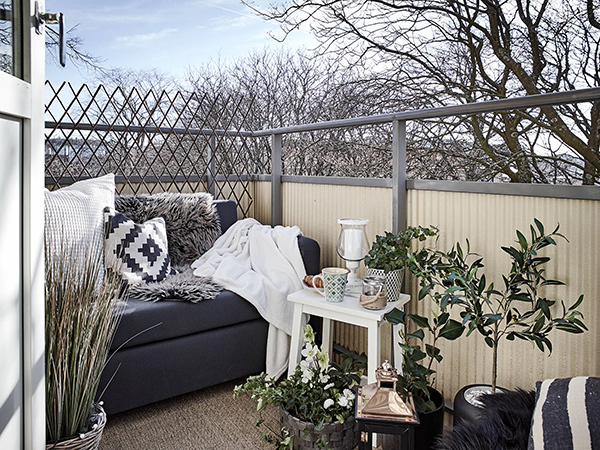 Here are 10 simple ways to add a Scandinavian feel to your home. 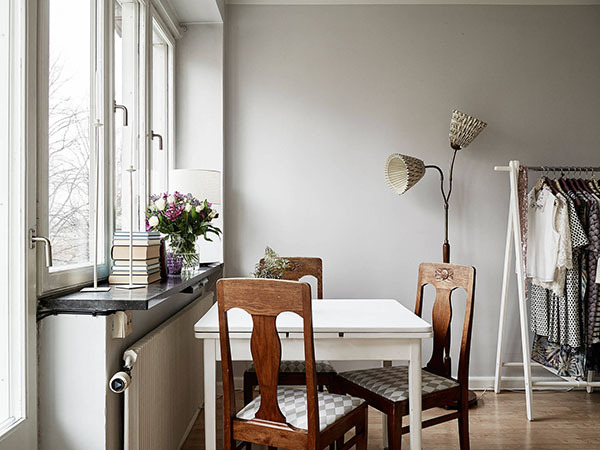 Nordics paint their homes white from the walls to the ceilings, even utilizing white furnishings and white-washed floorboards to bring warmth to their homes, especially since they are in a location with long winters and limited hours of natural light. In addition to maximizing light reflection, white and neutral colors produce a sense of unity with the environment and reflect the Northerners’ no-nonsense attitude to life. This spring season, crisp white furniture and decorative accents will allow colorful fresh flowers to pop in your home. Floors in Northern homes are usually made from hardwood such as oak, cherry, poplar, and other lighter woods. (Despite long winters, carpeting never really gained much popularity in this part of the world.) 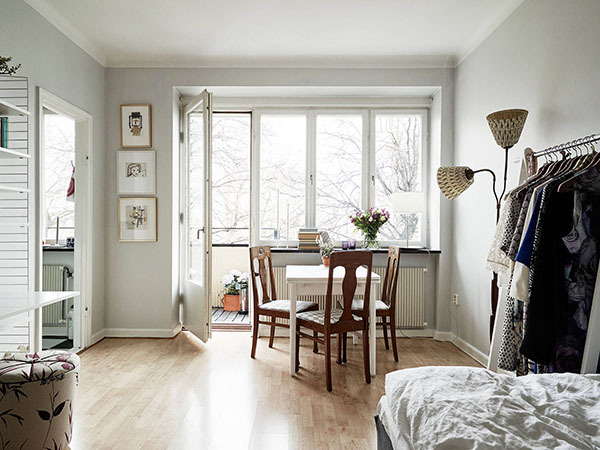 To achieve a well-grounded Scandinavian ambiance, pull back carpets and let your floorboards shine: this will also provide a subtle contrast with all-white walls and furnishings. To maximize natural light, Northerners often leave their windows bare or outfit them with plantation shutters to let in the sunshine. Blackout blinds are commonly found in Nordic homes as they provide an additional layer of insulation in the window area where heat leaks are typically greater than elsewhere on the premises. 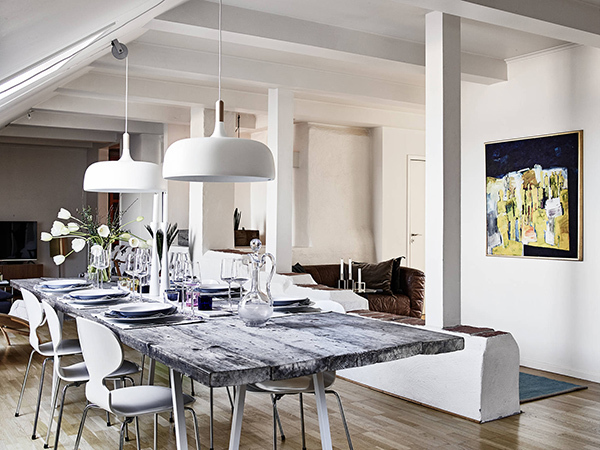 Indoor lighting a la style Scandinavian can be achieved by the introduction of innovative lamps and modernist pendant fixtures. A designer table lamp or suspended fixture in a cozy reading nook will add a nice aesthetic touch, while seamlessly merging with functionality. 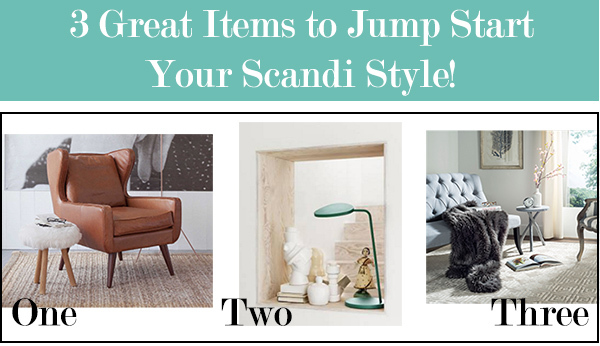 For a snug Scandinavian reading spot, grab an elegant faux fur throw and fold it over your favorite armchair. These faux fur throws will look great in your home year round, even in the warmer spring and summer months. You’ll never know when you need a throw blanket to warm up from the air conditioning. Faux fur throws are also evocative of forbidding Nordic winters and long nights by the fireplace, making a sheepskin, shaggy blanket, or a faux fur throw the perfect addition for a Scandinavian styled space. 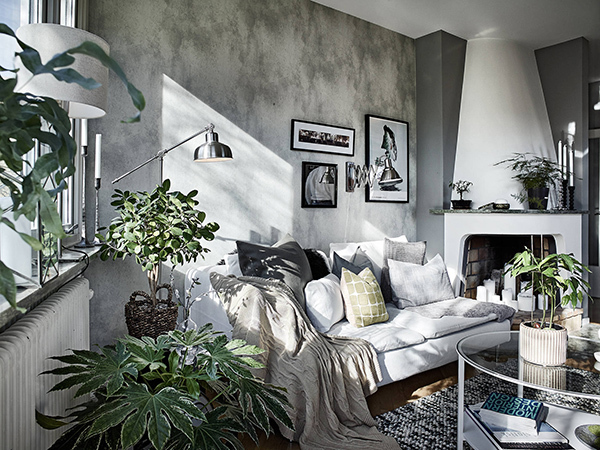 Potted plants and similar organic elements can also be incorporated into a Scandinavian inspired space to liven up the down-to earth ambiance, without compromising on function and minimalism. Large succulents can be placed in a corner or next to the writing desk. Cacti will also look at home against a Scandinavian backdrop. Wooden stools will coordinate well with hardwood flooring, exposed beams, and the rest of the Nordic décor. Low coffee tables in dark tones topped by a bunch of flowers can be deployed in the living room to create a focal point without the need for other aesthetic details. Practicality and minimalism are the main features of Scandinavian homes, and multifunctional furnishings and modular pieces are often used to mimic the straightforward yet stylish Nordic vibe. Danish interior decorators are very fond of adjustable, stackable, or convertible furniture, as it allows them to minimize the spatial footprint and achieve an airy, clutter-free Scandi feel. 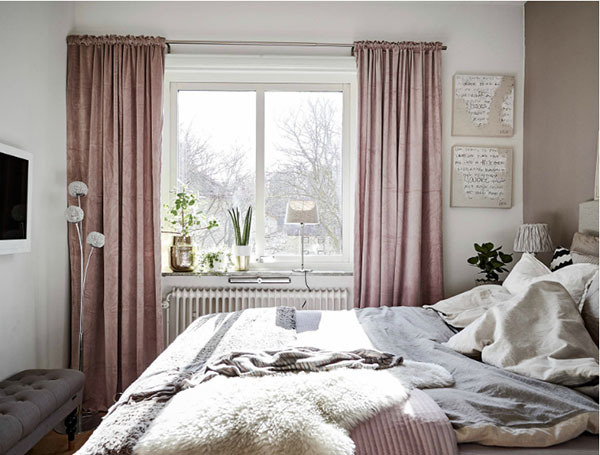 In the bedroom, Scandinavian homeowners usually opt for lower platform or floor bedding, and sleeping areas are often outfitted with linens in neutral hues such as muted blue, pink, or beige. 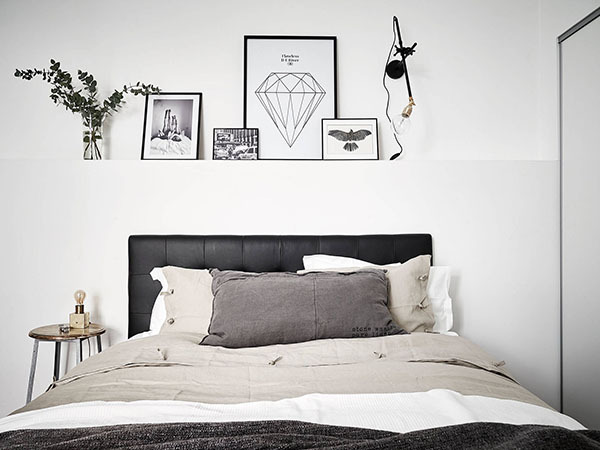 You can even leave your Nordic bed unmade or gently crumpled, as neat and polished Northerners love a lived-in feel in their homes. A white or light yellow armchair can be placed in the living room to spruce up the mood and add a cute cozy touch to Nordic elegance. 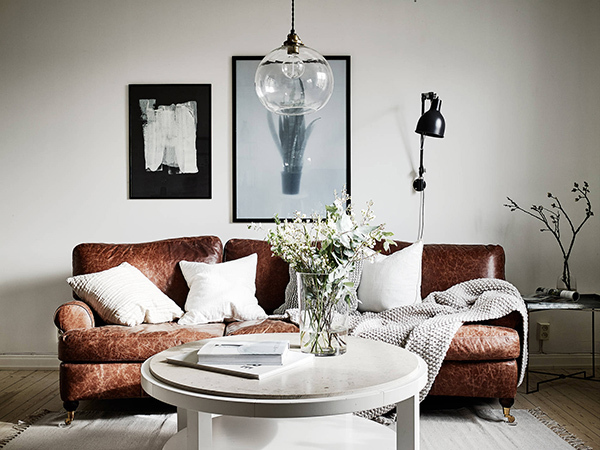 A perfect place to curl up with a good book and your favorite refreshing drink, a comfy armchair will pair well with the neat décor and add a bit of visual interest to the muted Scandinavian backdrop. 1. Giesen leather chair – this handsome armchair will add style to any space! 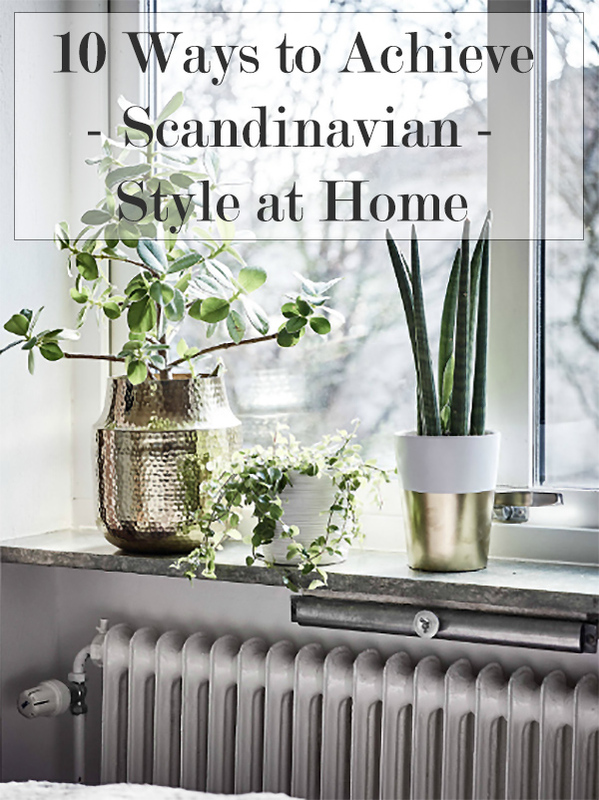 Simple, sleek, and above all functional, Scandinavian design does away with needless ornaments and ungainly clutter, focusing on the necessary and practical elements rather than multitude of colors and textures. That is what we all need in our lives now and again, after all: a return to the basics and a fresh outlook on décor, free of distractions and artificial charm. Author bio: Zoe Clark is a journalist, freelance stylist and blogger. 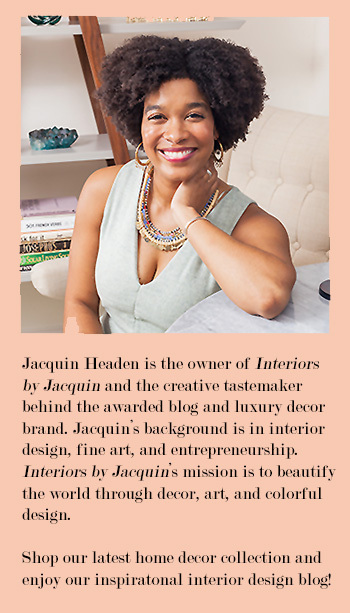 She is a visual storyteller and aesthetician by heart who often writes about decorating and DIY ideas. She loves sparking creativity in people and giving them ideas for their own space.